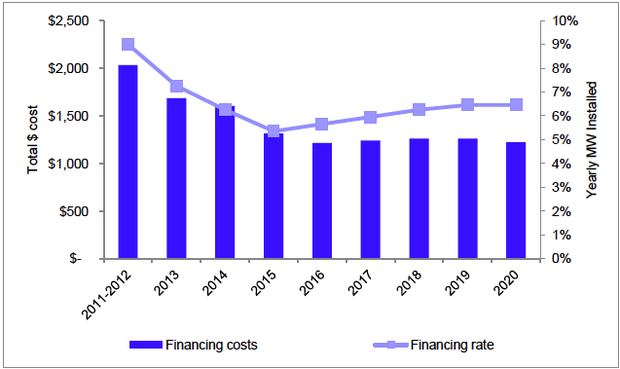 The cost to install and finance rooftop solar power is expected to contine to decline over the next several years, and then level off around 2019. 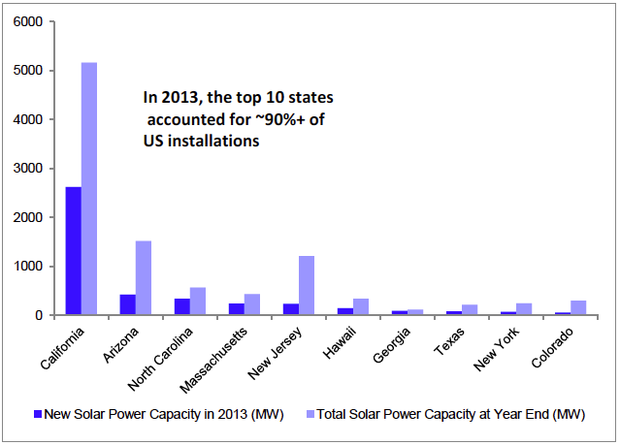 The top 10 states for solar power installations. The chart on the left depicts solar electricity prices with the 30% investment tax credit (due to expire in 2016). The chart on the right depicts prices if the 30% tax credit expires and the permanent 10% tax credit takes over. Amit Ronen, director of George Washington University's Solar Institute, was a key Congressional staffer behind the 2008 ITC legislation. Along with the ITC law, one of the driving forces behind adoption of solar power and the ensuing reduction of costs, he said, has been the U.S. Department of Energy (DOE) SunShot Initiative, which helps fund research, manufacturing and market creation. 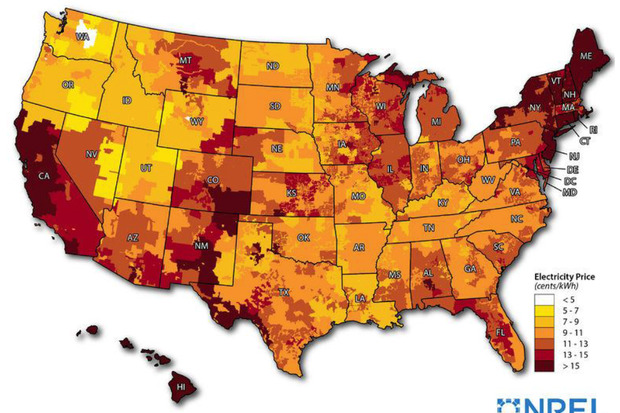 SunShot has a goal for solar energy to reach price parity with conventional power sources by 2020. Germany, for example, instituted a generous feed-in tariff policy that guaranteed if a residence or business installed solar all the power produced would be purchased at a fixed rate for 20 years. This assurance facilitated a huge increase in installations which lead to massive price drops in solar energy costs. “The German experience shows that with motivated leaders and the right policies, even a country with relatively poor solar resources and a large industrial base can reliably and affordably integrate high levels of solar energy into their electricity mix,” Ronen said. 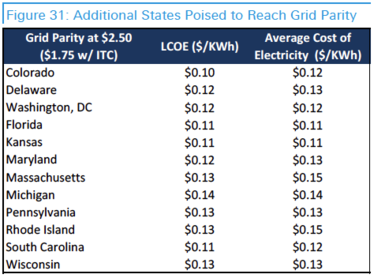 Additional states that are poised to reach price parity with solar power.